The challenges confronting local municipalities and the persons and businesses who deal with them involve more than land use and zoning applications. 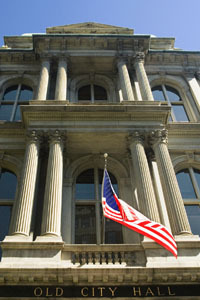 Buzzell, Blanda and Visconti, LLP offers a broad range of knowledge and experience in Municipal Law and the regulations which affect local government. The Firm's attorneys have served as general or special counsel for many local towns and villages. They have represented municipalities in the sale or lease of municipal property. They have counseled municipalities in connection with Bids and RFPs. They have represented municipalities in connection with code amendments and local laws. They have counseled municipalities in connection with the preparation of Master Plans and Inter-Municipal Agreements. They have handled enforcement proceedings in both the Supreme Court and District Court. They have counseled Village Boards, Zoning Boards of Appeals & Planning Boards. They have defended lawsuits and offered advice on zoning and a broad range of other municipal matters. The Firm's Attorneys have also counseled and represented private parties in connection with matters involving local municipalities. They have represented clients selling, purchasing and leasing property to or from local municipalities. They have represented participants in competitive bidding and RFPs. They have handled matters involving the abandonment and dedication of streets.